Okay, I was disappointed. Maybe I just loved the Fall ’13 Collection too much. Maybe my eye just refuses to acknowledge any colour other than black or grey or deep blue. Maybe I am an Autumn/Winter personality type. 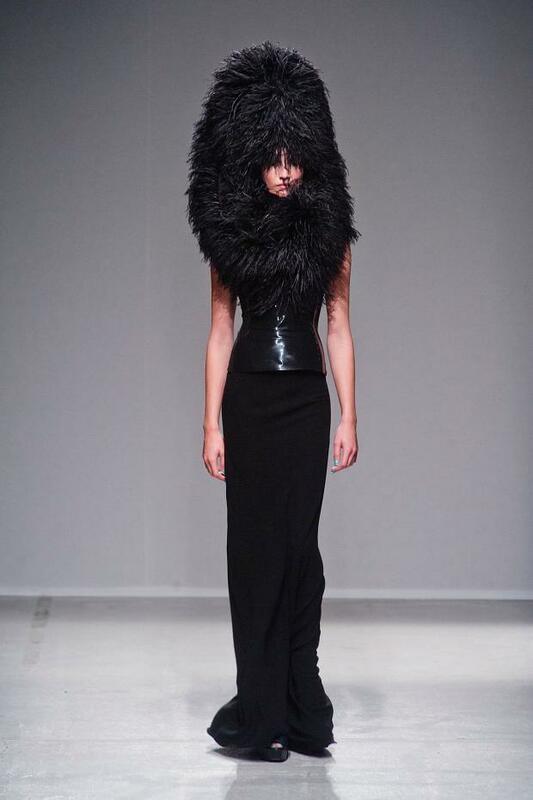 But I just didn’t get the thrills I’d hoped for from the Gareth Pugh S/S ’14 Collection last week. See more images for the collection on Fashionising. I’ve included just a few of my favourites here. Oh, there are always things to admire but no shivers running up my spine … Are you feeling the inspiration? I love the grey jacket with the oversized portrait collar! Lovely to see you back here & yes, it is a brilliant shape … totally adaptable for us wheelchair users.